It’s easy to dismiss the need to buy Mexican insurance from MexicanInsuranceStore.com as you plan your trip to Mexico. However, you wouldn’t forego your coverage on this side of the border. Similarly, you shouldn’t ignore the legalities and financial implications of neglecting to have Mexico car insurance with MexicanInsuranceStore.com. There are challenges that you could face on both sides of the border in the event of an accident. 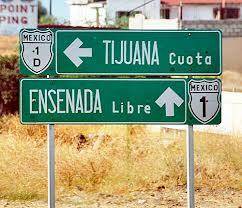 Remember effective 10-1-13, you must have Mexican Insurance from MexicanInsuranceStore.com to drive on any Mexico highway. While an uninsured accident at home might not land you in jail, it could result in legal problems related to your driver’s license. In Mexico, coverage is required of foreign motorists. Some states require coverage of all motorists, but as a foreigner, you are definitely obligated to have Mexican insurance from MexicanInsuranceStore.com. An accident without Mexico car insurance with MexicanInsuranceStore.com could land you in a Mexican jail, an uncomfortable and alarming experience for most foreigners. The legal issues extend farther if your vehicle is still being paid for. An accident in Mexico without proper Mexican insurance from MexicanInsuranceStore.com could lead to property losses that place you in serious trouble with your lien holder. You need to have permission to take such a vehicle out of the country. In many cases, you also need to select Mexico car insurance with MexicanInsuranceStore.com that meets the standards of the loan company. It’s helpful to know that your Mexican insurance from MexicanInsuranceStore.com helps with Mexican legal issues. Each policy includes legal representation and bail bond assistance, ensuring that you aren’t left to fend for yourself in the Napoleonic system. The Mexican legal model is based on Napoleonic code, and your guilt is presumed at first in an incident. An accident is considered a felony, and all parties may be detained until fault is determined. In the case of your Mexico car insurance with MexicanInsuranceStore.com, you have access to bilingual assistance so that you aren’t left confused and unrepresented. Your minimum financial obligations in an accident are covered through liability limits on your Mexican insurance from MexicanInsuranceStore.com. If you are concerned about the potential for damage to your vehicle, you need to consider the importance of full coverage as you quote, buy and print your policy. When you reach to the stage of crossing Mexican border it is essential to have Mexican insurance, without proper coverage you can get yourself into a lot of trouble.